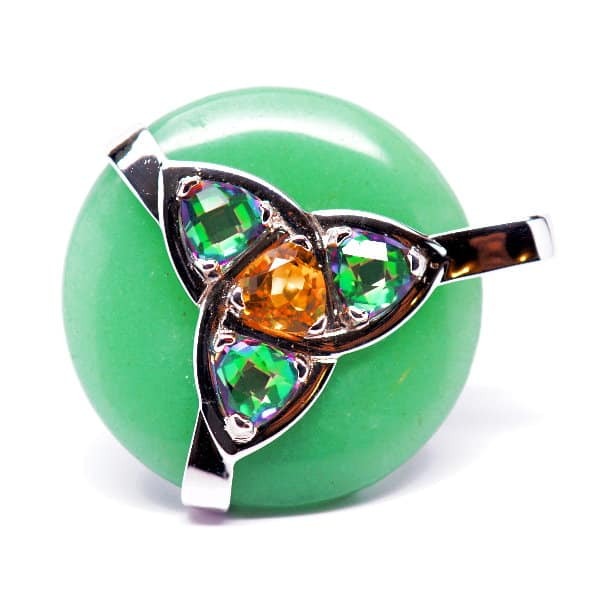 Warm and soothing Green Aventurine is considered a stone of love, prosperity, and nature. 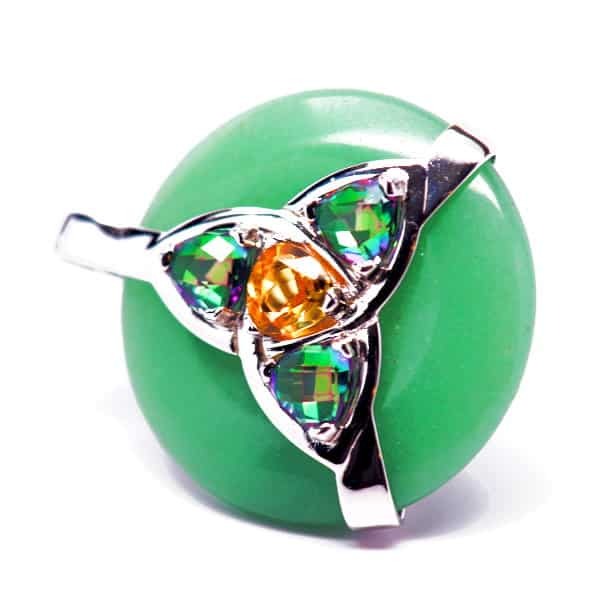 It radiates a calm and loving green energy that is often soothing to those suffering from grief, depression, or the loss of love or a loved one. 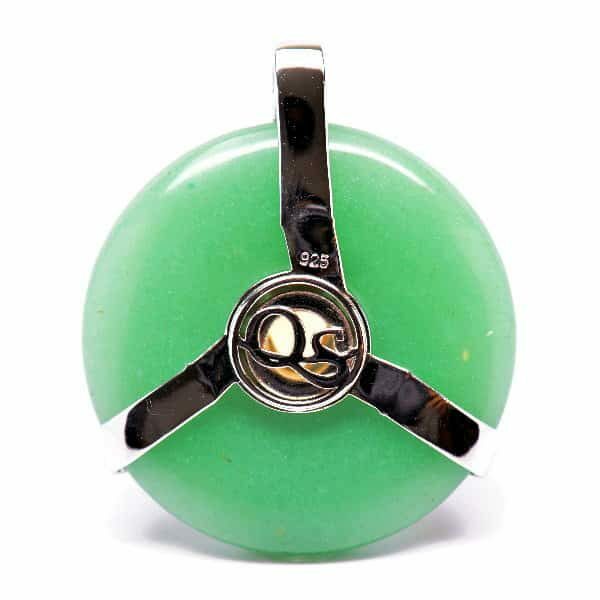 Feelings of greater compassion, unconditional love, and Yin Yang balance are often reported by those who call upon Green Aventurine healing stones. 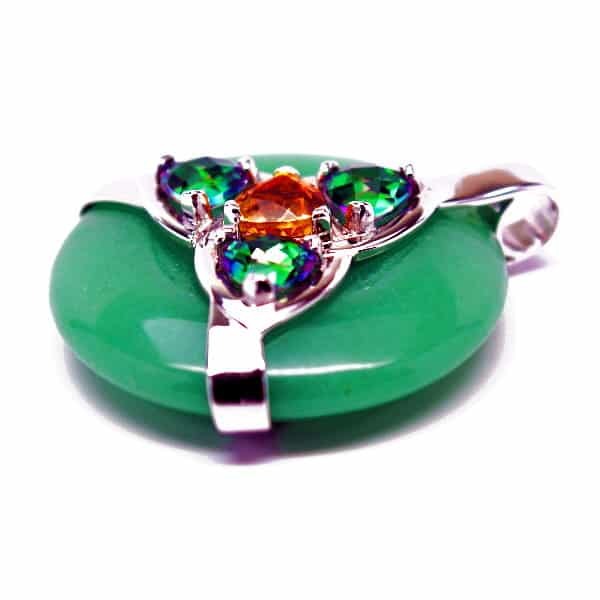 These effects are enhanced by the presence of three eye-catching green mystic quartz crystals centered with a striking citrine. 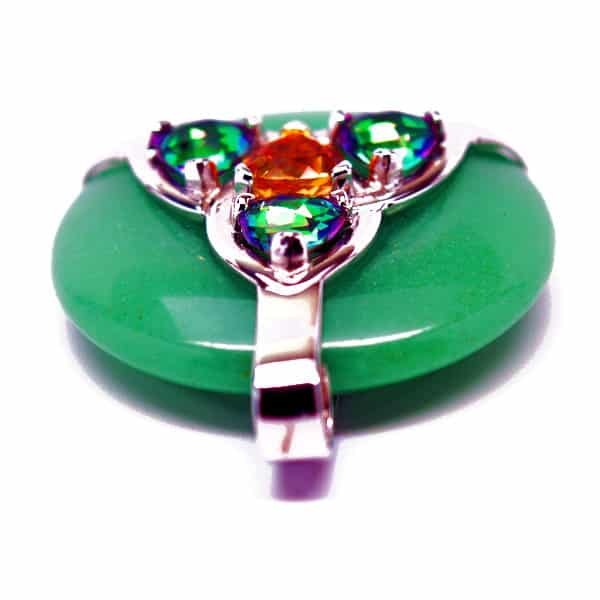 Green Mystic quartz boasts the same properties as clear quartz, and is excellent for tapping into higher realms, astral travel, and activating the subconscious to receive universal information and insights. 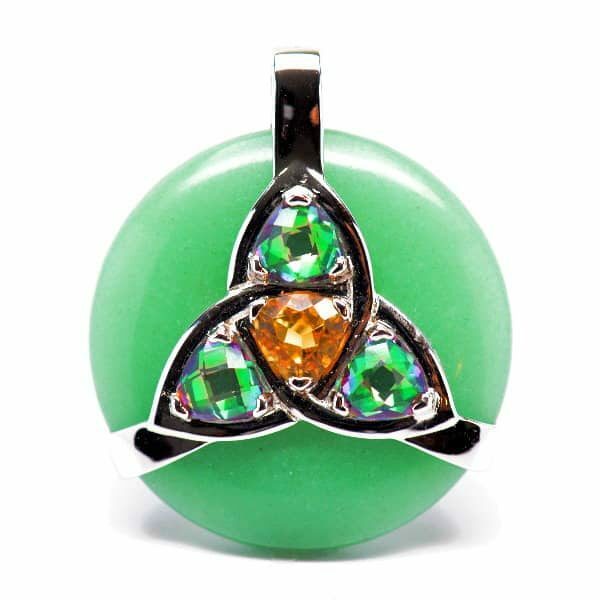 Citrine works with green aventurine to manifest wealth, success, and love while alleviating depression, anxiety, and stress. 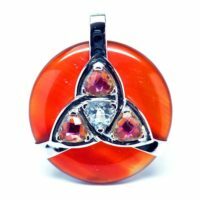 This powerful healing stone and crystal combination highlights our exquisite Celtic Triquetra design – a pattern that can represent any three interconnected concepts that have a special meaning to your mind/body/spirit journey. 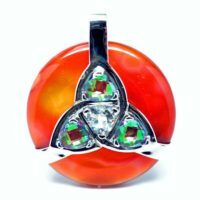 The meaning of the triad essence of your Triquetra Symbol is completely up to you…for example, if this is to be a token of love or commitment, part of your intentions might include sentiments like Love, Devotion, Protection, Honor, Commitment, etc. 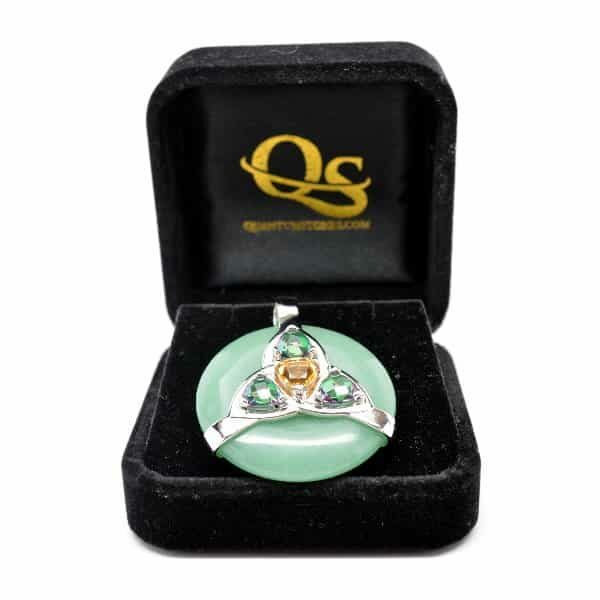 To make this amazing healing pendant even more appealing, it’s reversible and features a trinity symbol centered with our QS logo. 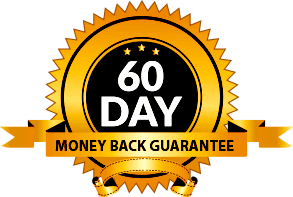 This beauty is like getting two incredible healing tools in one! 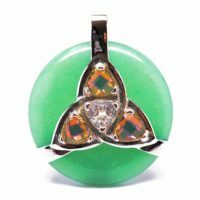 Be the first to review “Triquetra Green Aventurine w/Mystic Green & Citrine Amulet” Click here to cancel reply.